With a dry, arid climate, Phoenix can be a great place to begin and further your career in speech pathology jobs and specialized speech therapy jobs. The climate is one of the attractive features to many who make the decision to call Arizona home on a permanent basis. There are also many people who vacation in the city and with the low cost of housing, buying and maintaining a second home here is feasible for those in the right field. Consider accepting open positions in speech pathology jobs or pediatric speech therapy jobs to experience a rewarding career. Every day the demand for qualified caregivers through speech language pathology jobs is on the rise as well as those trained in rehabilitative speech pathology jobs. While you may think of the western part of America as only desolate and hot deserts, you are giving into the stereotypes for Arizona. Many parts of the state are dry but the beauty seen in this type of landscape is unique in its own right. Phoenix may not be on the list for you in terms of smart career moves but you should think again as speech pathology jobs are in high demand. With a growing economy, established infrastructure, and plenty of professional jobs, more people are flocking to Phoenix from the West Coast to escape the high cost of living and taxes. With respectable speech therapy jobs and rehabilitative speech language pathology jobs, you can begin to enjoy all that Phoenix has to offer. As one of the most populous cities in America, Phoenix continues to see massive growth yet continued affordability. You get a lot of house for your dollar and with competitive salaries in speech language pathology jobs; it can be rewarding to purchase a home in this region. The salaries are competitive as the demand increases with the population increase. More and more technology companies are moving to this area due to low cost of living yet a higher quality of living as seen in the large homes available on salaries from speech pathology jobs. This city should be on your list of viable options for speech therapy jobs, pediatric speech pathology jobs, and even rehabilitative speech language pathology jobs. While the summers in Arizona can be hot, there are still plenty of outdoor activities to enjoy year round. From the mountains to the lakes, neighborhood swimming pools to indoor parks, Phoenix offers many options for staying healthy. Even on the hot days of summer, you can swim in a lake or pool in order to cool off while many will hike, walk, bike, and run on cooler fall, winter, and spring days. On your days off from speech therapy jobs, there are plenty of choices for outdoor fun if that is how you relax and unwind. For others, it can be fun to spend time off from speech pathology jobs shopping, fine dining or even a spa day in the mountains and Phoenix has all of those options. As someone who works in speech language pathology jobs, the importance of continuously improving in your skills is crucial. When new technology emerges, it is helpful to learn about it and attend training on how to use it in your everyday speech therapy jobs. You may be surprised at how productive it can make your sessions with patients and the improvements you will see in their speech. The city of Phoenix is attracting new and upcoming business ideas and innovations to assist those in the medical field, to include speech pathology jobs. Think of how your career will thrive and possibly even your pay when you are trained in ground breaking technology and inventions in speech language pathology jobs. If you think of the west as only a place for Native Americans, you are not alone. Yet, they are not the only inhabitants of that area. The cultures represented in the western half of the country are diverse and proud. Some of these cultures may need assistance with their speech to overcome the obstacles they face on an everyday level. Working with patients on a daily basis through speech therapy jobs can give others opportunities otherwise closed off to them. By giving back to the community through speech pathology jobs, you are helping to ensure those around you have equal chances of success. The Stepping Stones Group is currently interviewing Speech Language Pathologists for the 19/20 SY in Phoenix, AZ! New grads welcome to apply! 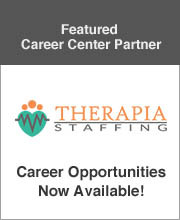 We are looking for an SLP for a School-Based position near downtown Phoenix, AZ area. Population is K-8th grade. Bilingual is a plus but not required.